In Legends, heroes lead armies – and you can choose which race you’d like to use in each round, with a set of six classes each. Players can choose from Human, Fae, or Revenant. 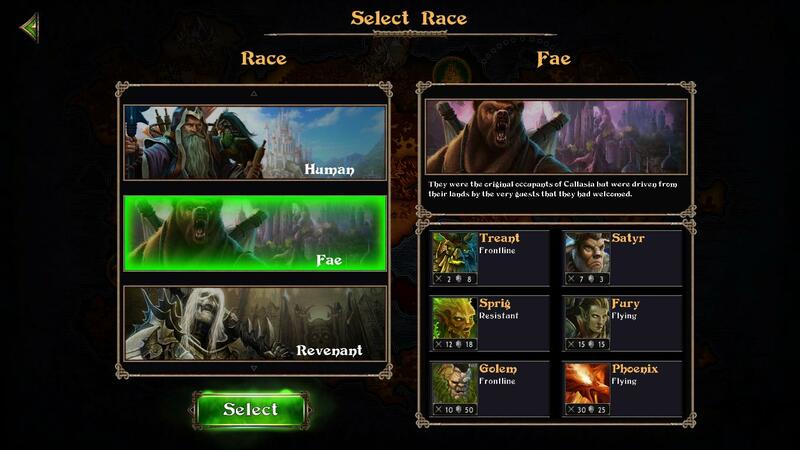 This will determine the units that form your armies, which have different attack types and characteristics. This will affect your strategy for the game. 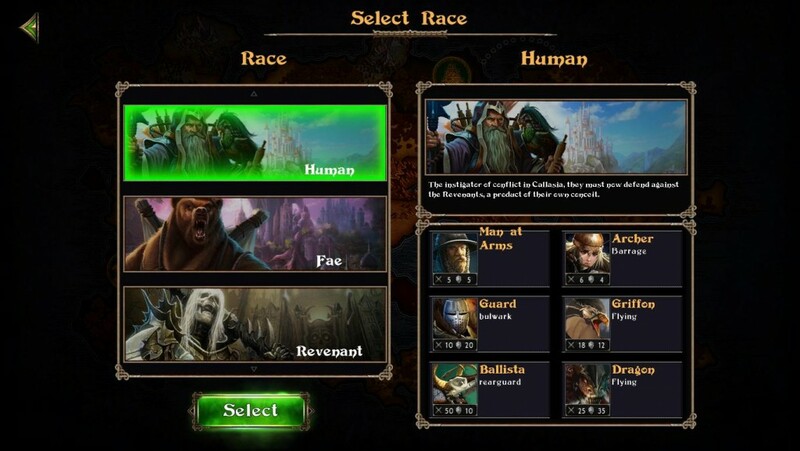 Humans fight for survival using archers, swordsmen, griffons, ballista, and dragons. The Fae are the wild powers of nature with units such as the Treant, Golem, and Phoenix. 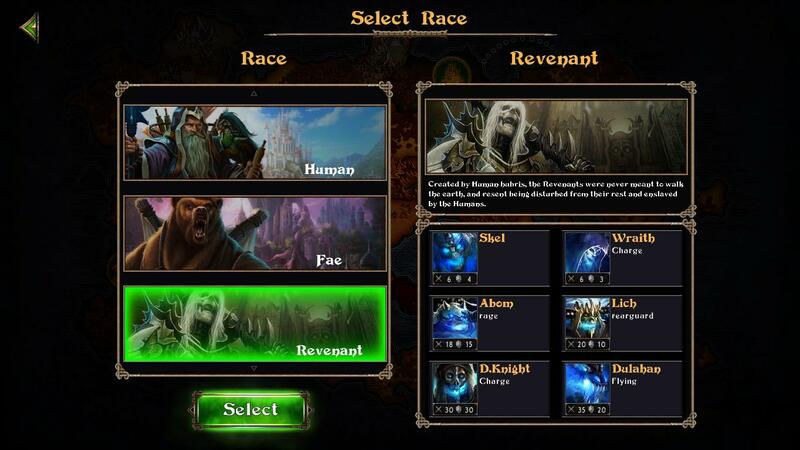 The Revenant are the evil forces of undead who fight with dark knights, wraiths, and skeletons. All of these units have different attack types: missile, melee, and magic. Battles are resolved automatically based on their tactical abilities.